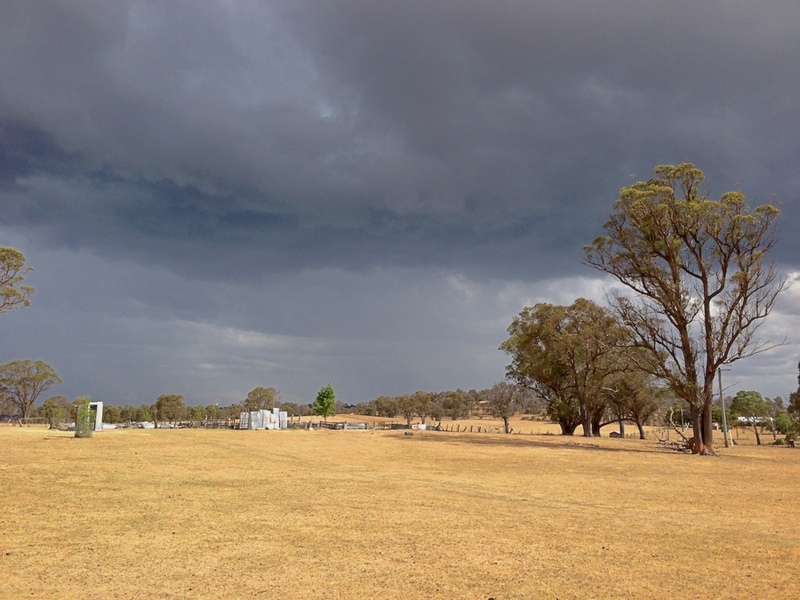 This part of the country sees much of its annual rainfall arrive from thunderstorms. Here’s an iPhone photograph of such a storm yesterday afternoon. Not much rain fell on the parched ground though, only 4 mm (0.16 inches).